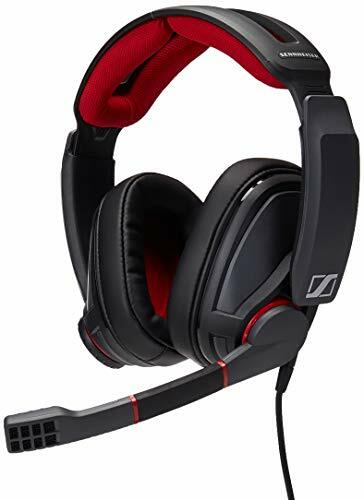 The PC 373D gaming headset blends legendary Sennheiser sound quality with Dolby Headphone 7.1 Surround Sound processing to deliver an immersive gaming experience combining spatial realism and pinpoint directionality. The new and improved surround sound software make it easy to customize the soundfield to your gaming style. 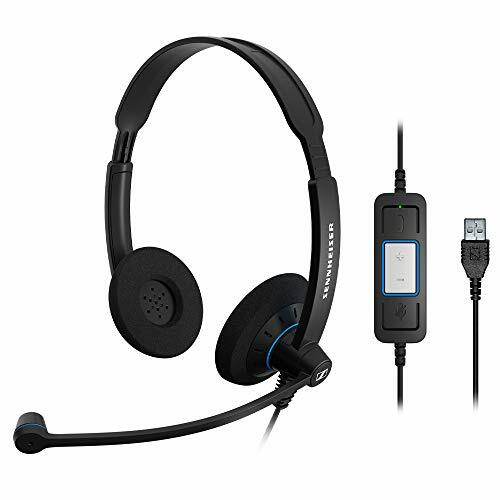 Crystal clear game time communication is possible thanks to a professional-grade noise-cancelling microphone that automatically mutes when lifted. The over-ear design with XL velvet ear pads deliver extreme comfort during long gaming sessions. 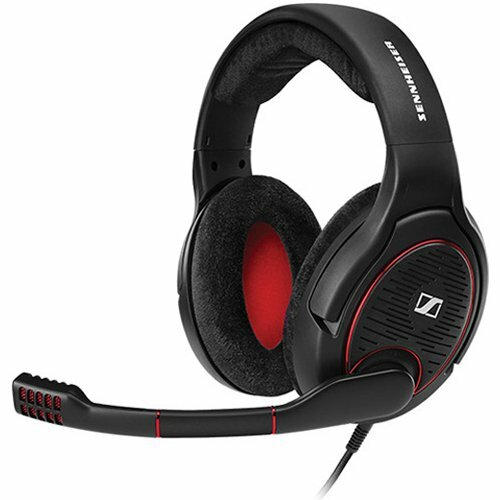 Get into the game with the Sennheiser PC 373D! 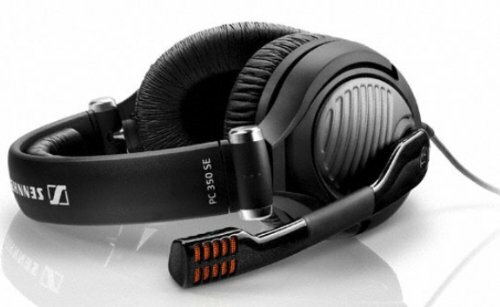 The Sennheiser GSP 300 is a closed back headset with premium feature and performance. Ultra-comfortable memory foam ear pads ensure best-in-class acoustic insulation so you can stay immersed in the game. The broadcast quality, noise-cancelling microphone minimizes background noise for clear communication during in game chat. Take your game play to the next level with the GSP 300. 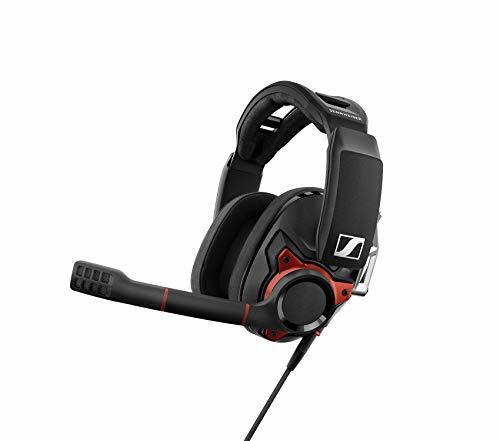 The GSP 350 Gaming Headset from Sennheiser features virtual 7.1 Dolby Surround Sound and a closed-back design that reduces outside noises so you can concentrate on what matters most. The soft, memory foam earpads and adjustable headband provide you with comfort over long gaming sessions, while the built-in volume control knob offers easy access for adjustments. With the noise-canceling microphone, your teammates and enemies will be able to hear you clearly. On the other hand, should you prefer to stay silent, simply raise the boom arm to automatically mute the microphone. For compatibility with other platforms, you will need a separately sold cable. 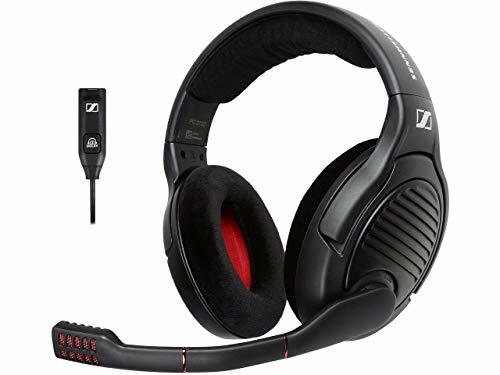 Also please note that surround sound only works with Windows PCs.Sennheiser GSP 350 Specifications Headphone Design: Over-ear Impedance: 19 Ohms Frequency Response: 15 Hz - 26 kHz Sound Pressure Level: 113 dB Microphone Frequency Response: 10 Hz - 15 kHz Sensitivity: -41 dBV/PA Pickup Pattern: Bi-directional ECM Connector: 2 x 3.5 mm (3-pole connectors), 1 x 3.5 mm (4-pole connector) Cable Length: PC Cable: 8.2' / 2.5 m Console Cable: 4.9' / 1.5 m Weight: 22 oz. 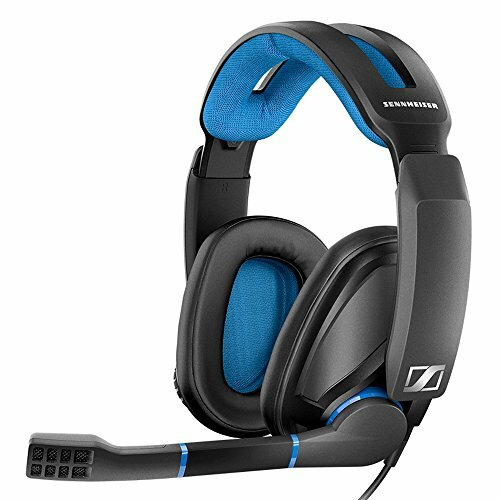 The Sennheiser PC 350 Special Edition updates and improves what is lauded as the performance standard for professional gamers, the PC 350. This Special Edition version incorporates new materials and fetures to improve performance of this pro quality headset. First, new designed metal ear cup covers improve sound quality and enhance noise isolating capability. The new braided cable improves flexibility and durability. The Special Edition now features a volume control located on the right earcup for sound level adjustment. Additonally, the headset now incorporates a mic muting feature. Simply lift the boom to mute the noise-canceling mic. 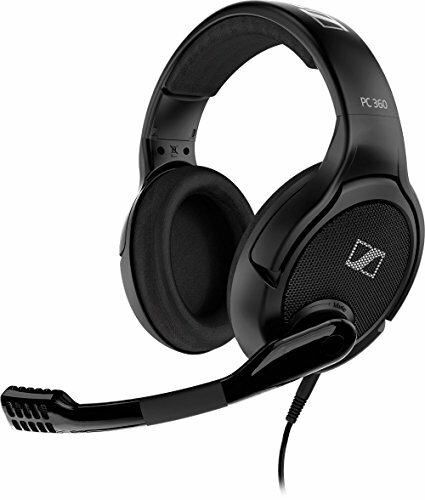 The PC 350 Special Edition's sound quality is best in class, giving you a competitive advantage. 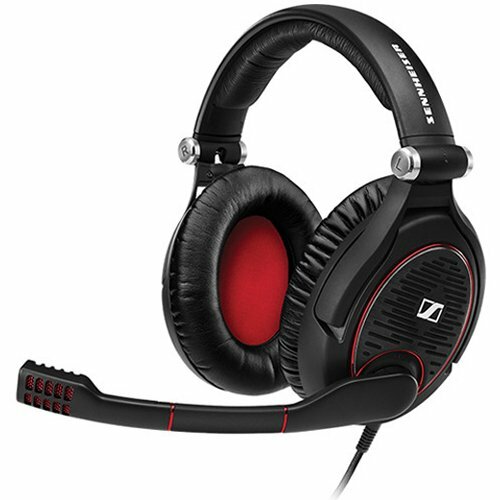 Using Sennheiser Ergonomic Ear Refinement (E.A.R.) technology, the stereo imaging is unparalled. The frequency response has been optimized for binaural perception, improving your ability to detect where a sound is coming from. Localization is so precise, you feel like you're in the game. The PC 350 Special Edition's combination of technology, features performance puts you in control of the game! 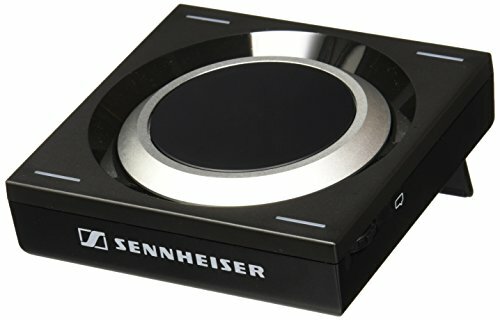 The GSX 1000 is a USB audio amplifier designed primarily for PC and Mac gaming. It features a Sennheiser Binaural Rendering Engine, a groundbreaking 7.1. Virtual Surround Algorithm to deliver the ultimate positional gaming audio experience. This was developed with the needs of professional gamers in mind. The GSX 1000 provides control of game and communication sound and allows intuitive switching between headphones and speakers freeing you from distractions for total immersion in your game.